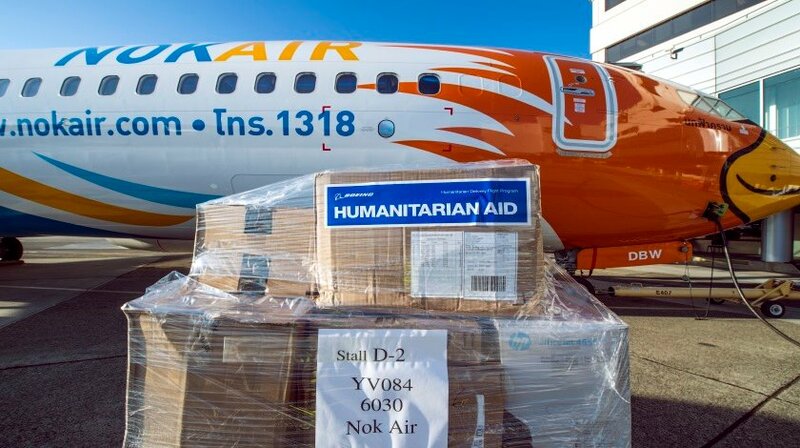 Boeing and Nok Air launched a special humanitarian aid mission to Thailand. With the help of the international non-profit organization Vital Voices, whose mission is to invest in and empower women leaders, the airline’s 22nd Next-Generation 737-800 will transport and deliver nearly 30 boxes full of relief items including clothes and school supplies. The items are headed to The Children’s Advocacy Center Thailand (ACT), a non-profit organization dedicated to better the lives of abused children and youth in Thailand. Representatives from ACT will deliver the aid to impacted children and youth throughout Thailand. As part of the Global Corporate Citizenship program, Boeing is committed to building better communities worldwide. “We are honored that Nok Air partnered with The Boeing Company to deliver humanitarian aid to the many children in Thailand who are in need,” said Sam Whiting, Director, Global Corporate Citizenship, Boeing Commercial Airplanes. Based in Bangkok, Thailand, Nok Air is a low-cost carrier that operates an all-Boeing fleet. As part of a tradition in naming its new airplanes, Nok Air has designated this particular airplane ‘Fah Kram,’ which means blue skies. The airline currently has two additional Next-Generation 737s on order with Boeing after today’s delivery. Nok Air is also a 737 MAX customer with eight 737 MAX 8 airplanes on order.